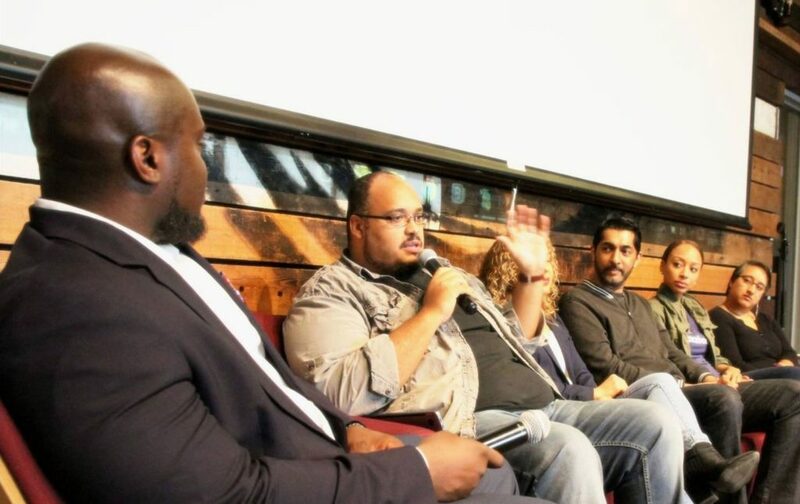 On August 25th at the Oakland Impact Hub, the 100 Black Men of the Bay Area, and the Berkeley-Haas School of Business hosted a panel discussion entitled “Non-Engineering Careers at Bay Area Tech Companies“. Panelists included Neal Stewart from Google, Jeunee Simon from Slack, Aisha Chiappetta from MongoDB, Rena Davis from Lyft, and Nabeela Virji from Yelp. Marco Lindsey, Chief of Staff at the Berkeley-Haas School of Business and member of the 100 Black Men of the Bay Area was the event’s moderator. Under the 100 Black Men of the Bay Area Economic Empowerment initiative, the purpose of the event was to inform Bay Area residents and college students about the career opportunities at local tech companies that do not involve coding. This standing room only event also paired more than 250 diverse job seekers with over 30 recruiters from a variety of local tech companies. Career seekers also learned of educational opportunities at the Berkeley-Haas Center for Executive Education that would help them gain skills that would make them more marketable to employers. 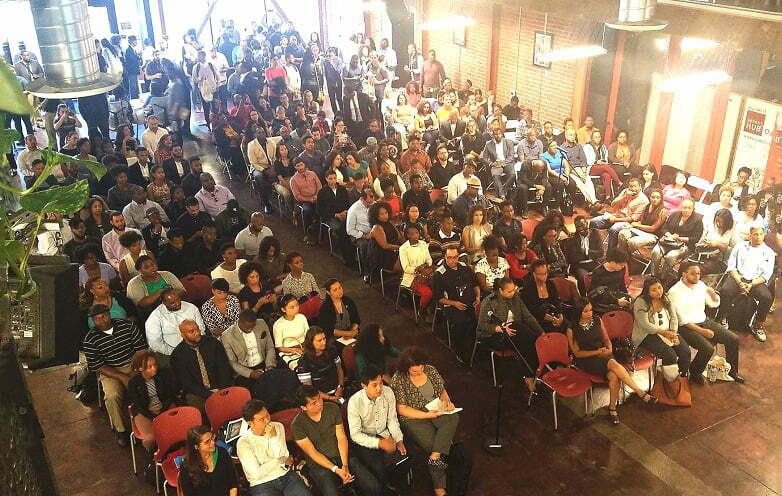 The 100 Black Men of the Bay Area considers economic empowerment a necessary step toward creating a just society, not only here in the United States, but, for people of color around the world. When we think of economic empowerment, we are thinking about the individual’s or a community’s ability to be self-determined in creating dreams, pursuing them, and ultimately perpetuating them by establishing the mechanisms to sustain generational wealth. Our program initiatives promote economic self-sufficiency through financial literacy, family wealth building, and entrepreneurship. Communities that possess a strong economic base have better schools, are better educated, are safer to live in, are healthier both physically and mentally, have better jobs, have higher employment, have more fathers, and have stronger families. This is true, regardless of the racial makeup of the community. The 100 Black Men of the Bay Area is uniquely positioned to bridge the gap between the African American community’s current situation and its potential to make large economic gains. Any improvement in the economic fabric of the African American community will contribute to the substantial growth of society, as a whole. The 100 Black Men of the Bay Area partners with other economic development-related organizations, private businesses and corporations, and government agencies to develop and provide programs and strategies that will strengthen the African American community’s economic base. The 100 Black Men of the Bay Area will not only promote and assist successful Black businesses that create employment within the African American community, but those activities stimulating overall wealth creation, as well. The 100 Black Men of the Bay Area Economic Development Program is based on the National Economic Development Program.